There’s nothing nicer than a relaxing brunch at the weekend after a hectic week. 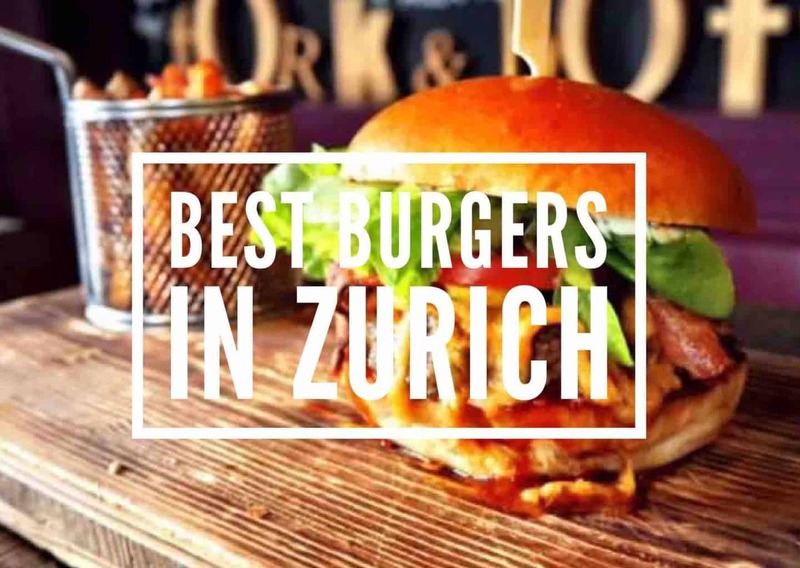 Take a look at some of the places we’ve had our best brunches in Zurich and why not give them a try? The Marriott hotel offers a sumptuous brunch menu with lots of choice. 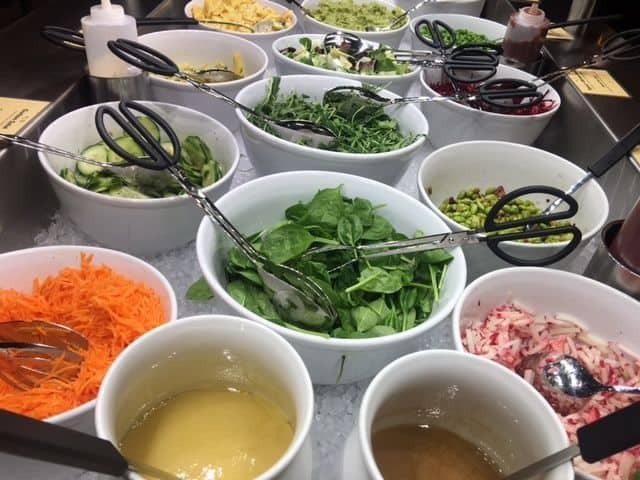 It’s popular with families and offers a magnificent selection of Swiss, European and even Japanese sushi and Thai specialities. For those who like to get their Sundays off to a sparkling start, prosecco is included. They even have cheese from their own cow and honey from their own bees. Brunch: the buffet breakfast is CHF 72 including prosecco and all drinks. Children under 6 eat for free and 7 – 12 year olds are half price. Read about out our visit to the Marriott Hotel Brunch here. Perched high above Zurich on the edge of the forest close to Uetliberg is the very stylish Hotel Atlantis by Giardino with its Hide & Seek Restaurant. This is the venue for their weekly Sunday Brunch with a wonderful selection of both hot and cold treats to tantalise your taste buds.In Summer from June till August it spills out onto the beautiful terrace and there is even a barbecue too. Included in the price are unlimited hot drinks, juices and prosecco. The Sunday Brunch takes places from 12 noon till 3pm. Brunch: Buffet CHF 95 per person, Children up to 12 half price and under 6 free. =>>Read all about our brunch at the Hide & Seek Restaurant here. 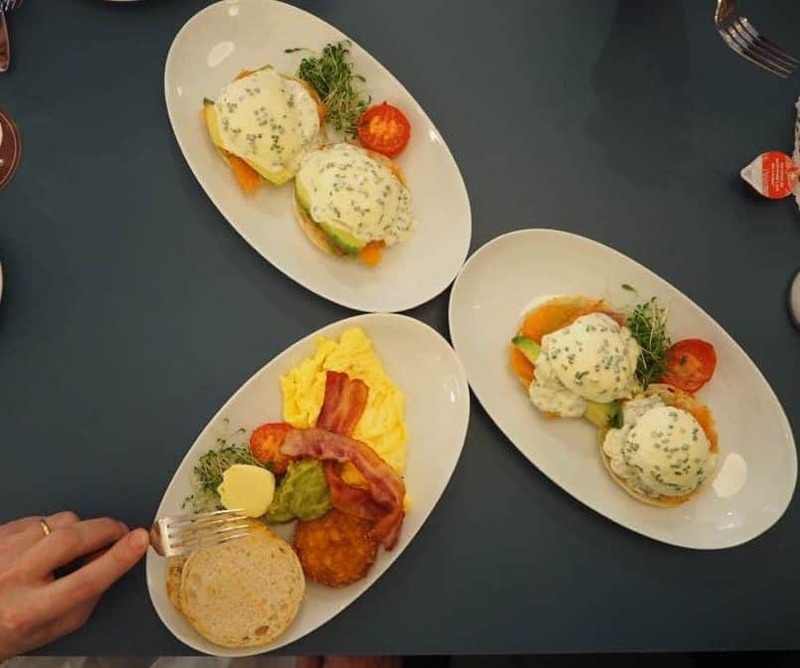 The Helvti Diner in Bellevue is conveniently located 3 minutes walk from Stadelhofen train station and two minutes walk from Bellevue tram stop. With its bright new look, American diner charm and wonderful brunch options it’s bound to be one of Zurich’s top brunch spots. 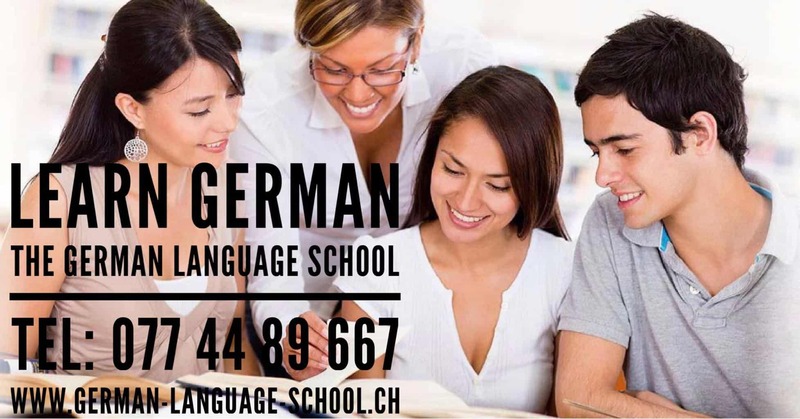 Each of the brunch selections is individually priced, starting at around CHF 6.50 for porridge with a range of smoothies, fruit options as well as a range of cooked egg dishes. There is a also a burger option, and from 2pm on Sundays the full menu (with a variety of burger options) runs along side the brunch menu too. We loved the eggs Benedict and the fresh smoothies! Confiserie Honold in Herrliberg offers a beautifully presented Sunday Brunch served on stylish étagères. Fabulous, freshly baked croissants and breads, including their delicious Russian Zopf with candied fruit, delicious Birchermuesli, and softly boiled eggs. The lovely selection of fresh seasonal fruits, Swiss cheeses and a range of cold meats is very generous. As many coffees or hot drinks as you like along with freshly squeezed orange juice make it the perfect place to spend a relaxed Sunday morning in the very picturesque area of Herrliberg. Further options available with smoked salmon or roast beef. Standard brunch costs CHF 45 per person. 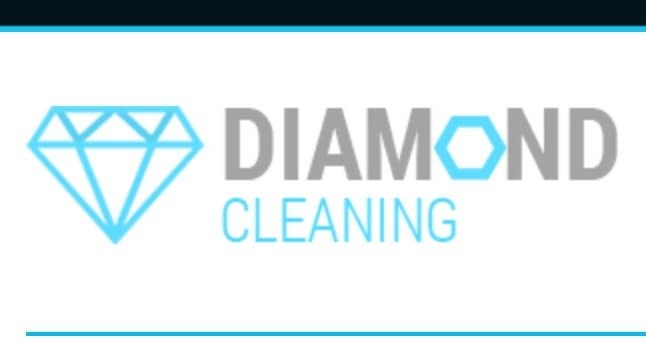 Book in advance on 044 211 52 58. 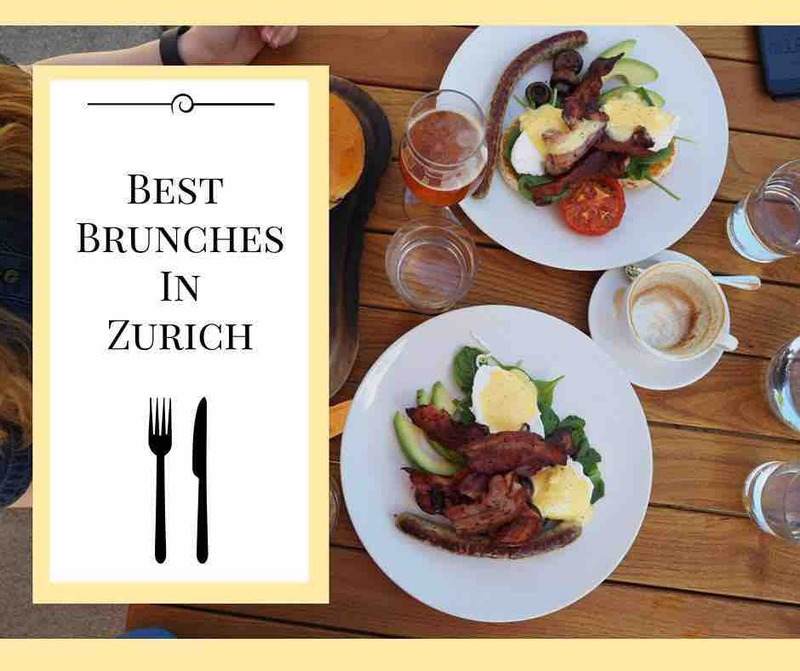 The brunch at Die Rüsterei in Sihlcity was the first place we ever visited for brunch in Zurich years ago. Our experience there was so good that we still keep going back. It’s a favourite with visitors too. Housed in an old paper factory it’s got a unique vibe and some crazy fun chandeliers with a culinary motif high ceilings and a great range of both hot and cold food, and sweet and savoury. It’s certainly a place to have a relaxed brunch and you help yourself from a selection of tables. Lots of juices, and a good selection of coffee and included in the price is one glass of prosecco. Brunch: Help yourself buffet CHF 55 per person, Children up to 12 half price and under 6 free. Bebek with its high ceilings and interesting décor gives you a feel of the Orient as soon as you walk through the door and the food certainly does not disappoint. There is a great selection of food on offer with an oriental flavor and it’s all beautifully presented. We particularly love the baba ganoush and the hummus. Once you’ve been once you will keep going back. Brunch: CHF 29.50 per person all you can eat excluding drinks and excluding egg dishes or alternatively choose from the menu (as we did). 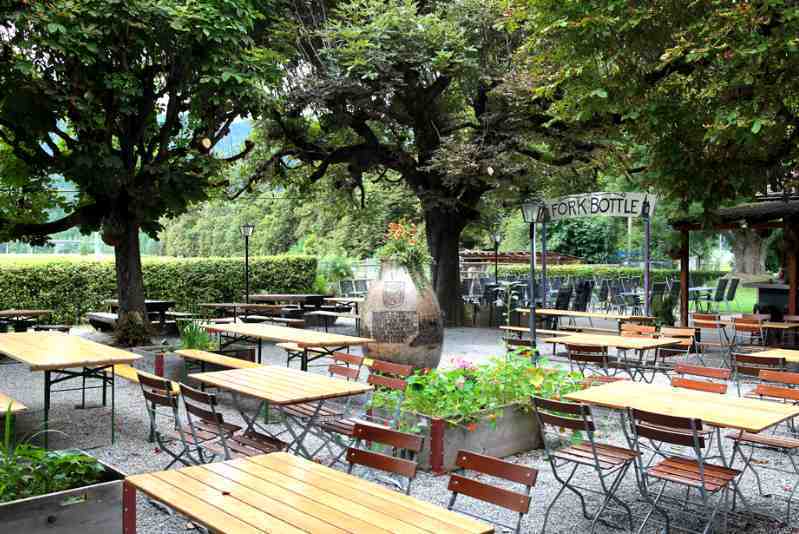 Located in a leafy garden in Wipkingen, The Artisans brunch is really good. Served outside in a garden in fine weather the breakfast options are well cooked and tasty and the service is attentive and good. The eggs we ordered were poached to perfection and the bacon beautifully crispy, and the breakfast burger from the brunch menu was delicious. All brunch items priced individually. Centrally located, just off Bahnhofstrasse, Hiltl is a great place to meet up with friends for a vegetarian or vegan brunch before exploring the city in the afternoon. You can choose either the all inclusive brunch option with prosecco and drinks, or alternatively go for the usual “weigh and pay” method so popular in this, the oldest vegetarian restaurant in the world. 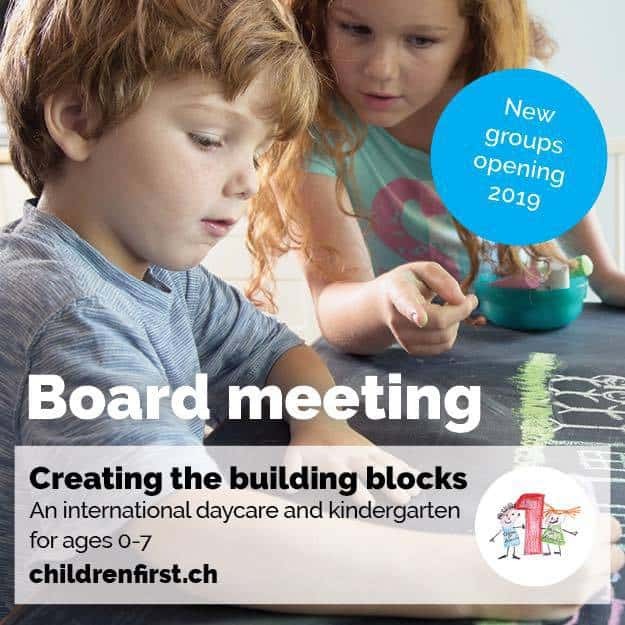 Brunch: CHF 57, and for children aged 7 – 12 a bargain CHF 2 per year of age. 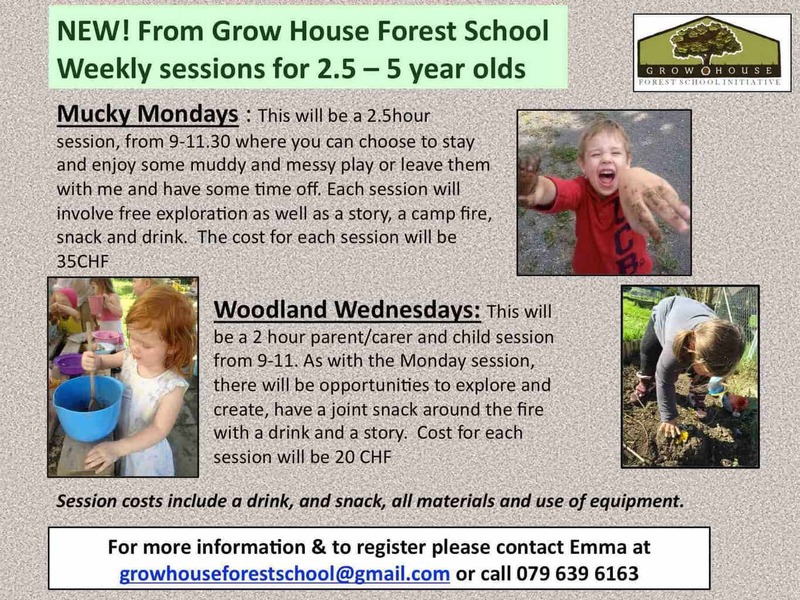 Under 6s are free. 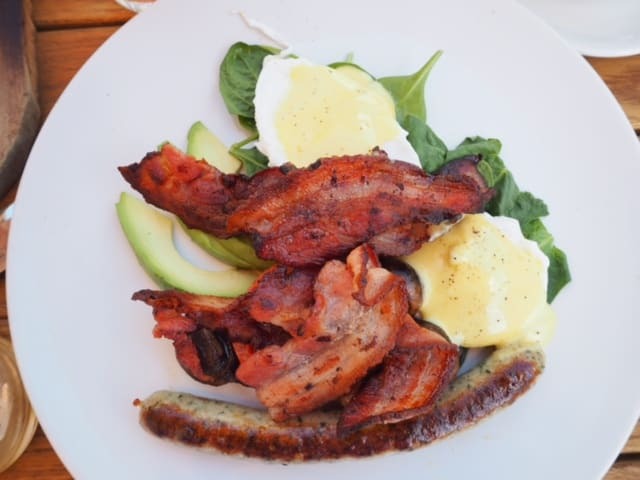 Maison Blunt is an extremely popular spot for brunch, and for good reason. With a very laid back atmosphere, Maison Blunt is a perfect place to have a lazy Sunday brunch. They serve a delicious selection of authentic Moroccan food, along with freshly baked bread. There are lots of individual bowls of delicious treats which also make it an Instagrammers paradise! Brunch items priced individually. A beautiful spot a little out of the city, right on the lake in Stäfa. From 10am – 2pm, the team at Villa Suneschy serve a bountiful brunch with everything from homemade Birchermusli and speciality breads to eggs and other hot items from the grill. 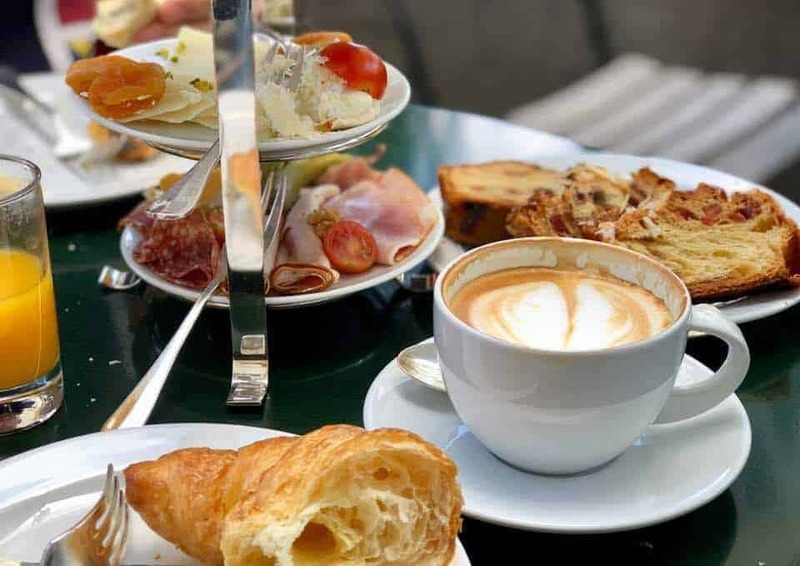 Le Pain Quotidien which originates in Belgium is committed to using organic produce wherever possible and bakes a fabulous selection of breads and pastries which are an integral part of their lovely brunch options along with a good selection of tasty savoury and sweet offerings. Le Pain Quotidien is centrally located not far from Stadelhofen. Brunch items all priced individually. Fork & Bottle is a well known restaurant with expats, but its very popular with locals too – especially for the wonderful Sunday brunch. Friendly host Mike and his staff cook up a wonderful array of specialities from the full English breakfast to eggs Benedict and lots more. 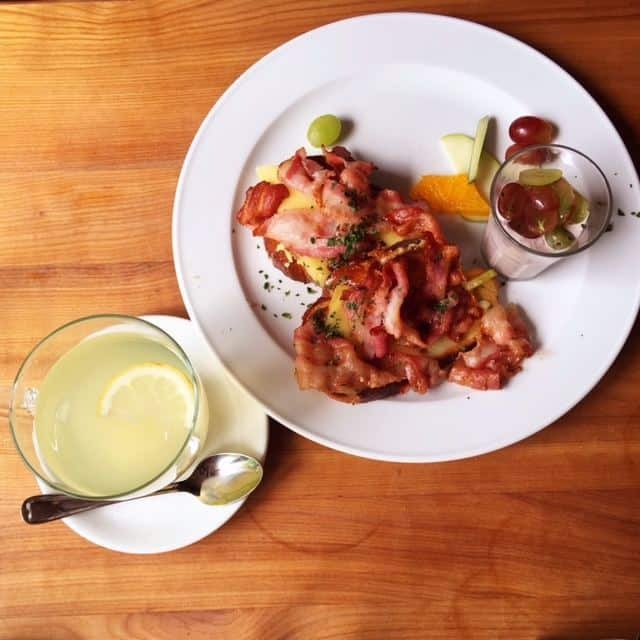 The fluffy pancakes at Fork and Bottle are a must-try item! Brunch items priced separately. If you really want to splash out or maybe want to celebrate a special occasion, why not take a trip to the Dolder Grand? Along with a lavish breakfast buffet you get a magnificent view above lake Zurich. 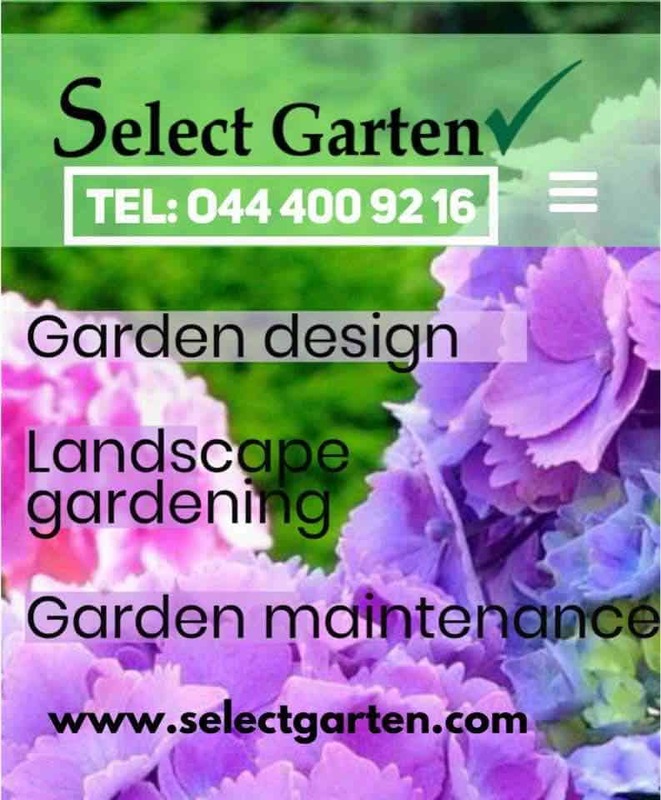 There are rows and rows of goodies on offer – so take your time when choosing or you’ll have no room left! As well as the usual cooked breakfast offerings they also have hot carvey items and amazing desserts! Brunch: CHF 98 per person, and CHF 49 for children under 12. 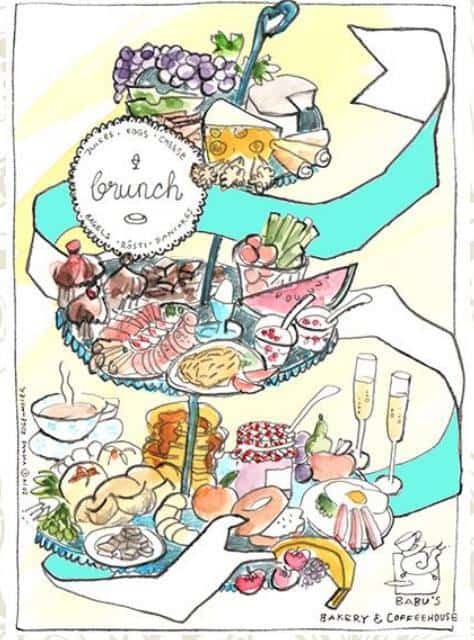 If you prefer the champagne brunch option it’s CHF 168 per person. Tibits offers a vast array of vegetarian and vegan delicacies at all time of the day including Sundays. 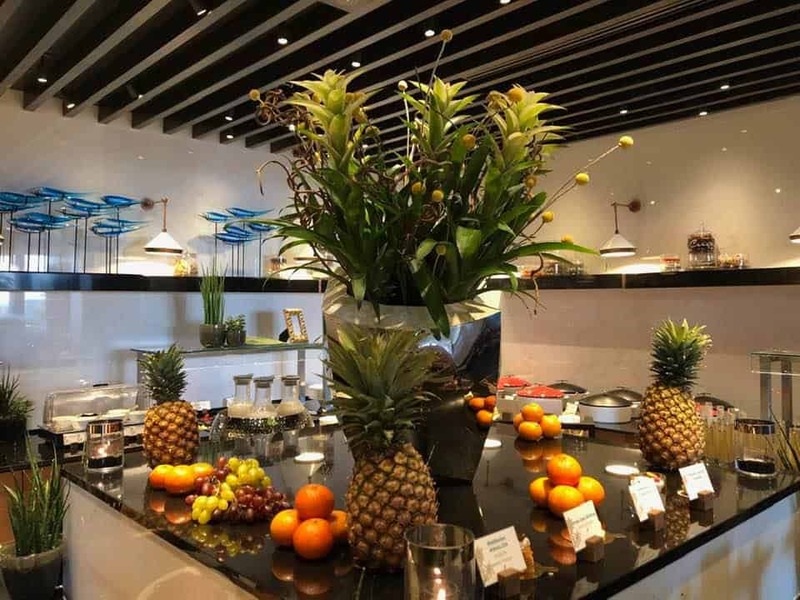 Served from its vast boat shaped buffet there are lots of different flavours to sample with both savoury and sweet dishes and fresh juices to wash it all down. As is usual here, you help yourself and pay by weight. The Tibits NZZ bistro is closed for brunch on Sundays until the end of August but you can get a regular buffet at the Seefeld branch of Tibits or visit the newly opened Tibits in Oerlikon for Sunday brunch. Whether you fancy home made pancakes, traditional Butterzopf and jam or eggs and bacon there is plenty of choice at Babus. 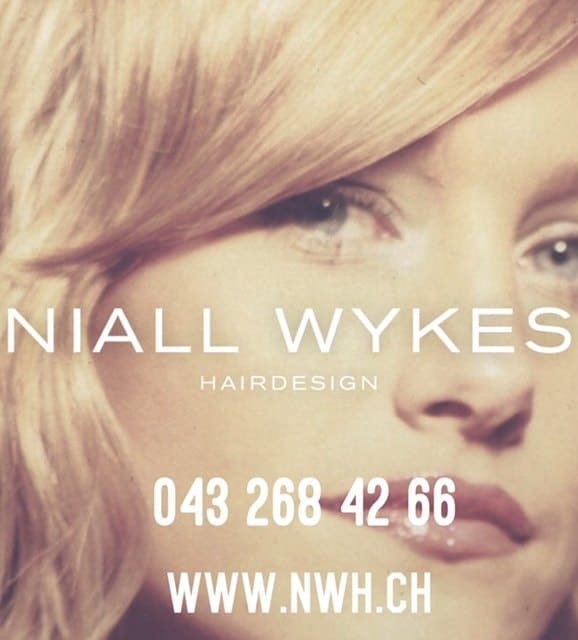 Centrally located in Löwenstrasse in Zurich, it’s a popular spot with young families and very popular at weekends. Their tasty offerings are all freshly prepared and they have a good assortment of juices and prosecco too. Brunch: items all priced individually or you can get the “Brunchétagère” at a set price of CHF 35, CHF 45 or CHF 55 all with different offerings and plenty of choice. A great way to start your Sunday! 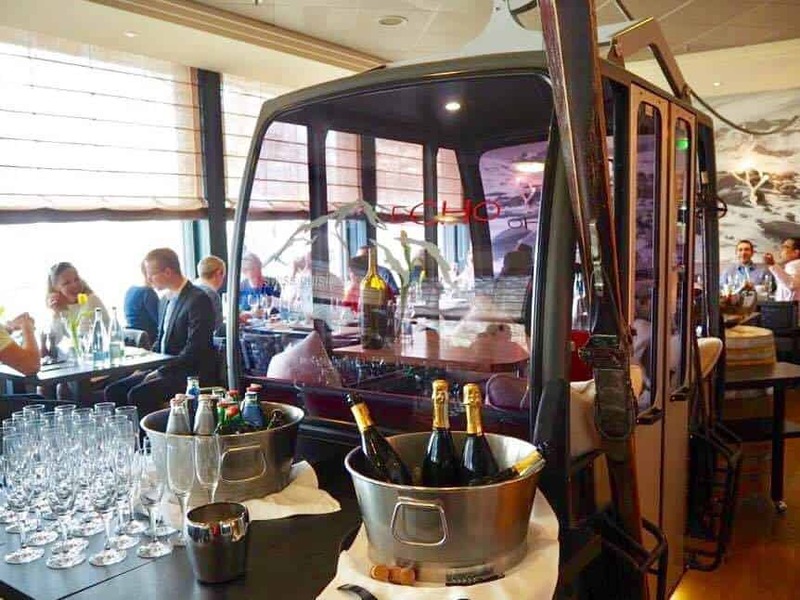 Other Brunch option you might like to consider are on the Zurich Summer Brunch Cruise boats which operates through the Summer until mid September each year and the annual farmer’s brunch to celebrate Swiss National Day on 1st August. 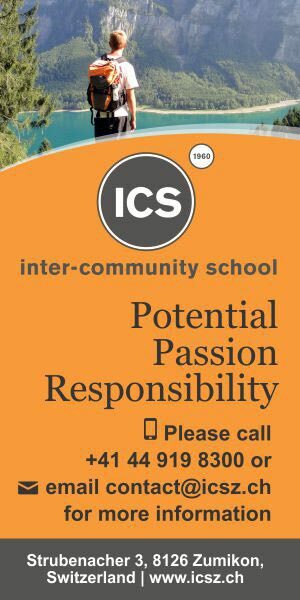 Please note all information correct at time of writing but do call first and reservations are always recommended. 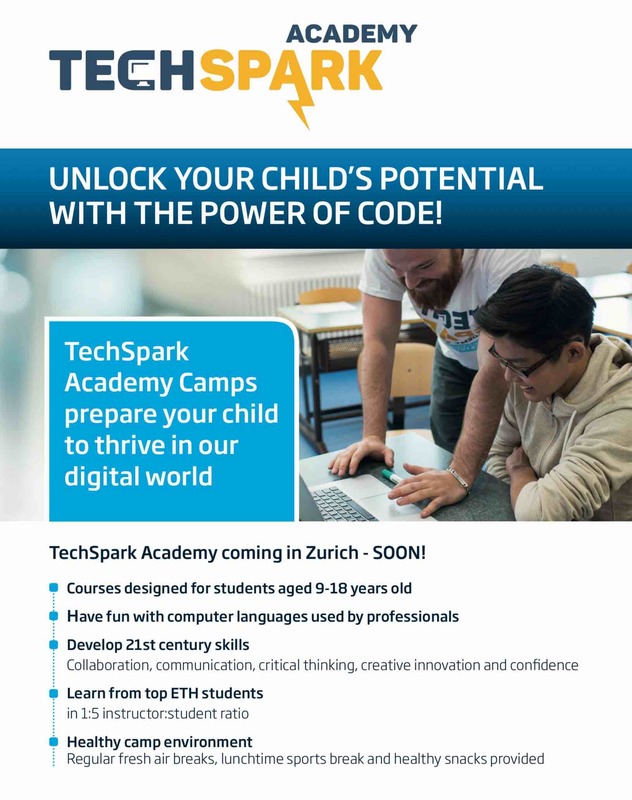 Check out what’s on in Zurich this weekend and beyond here. 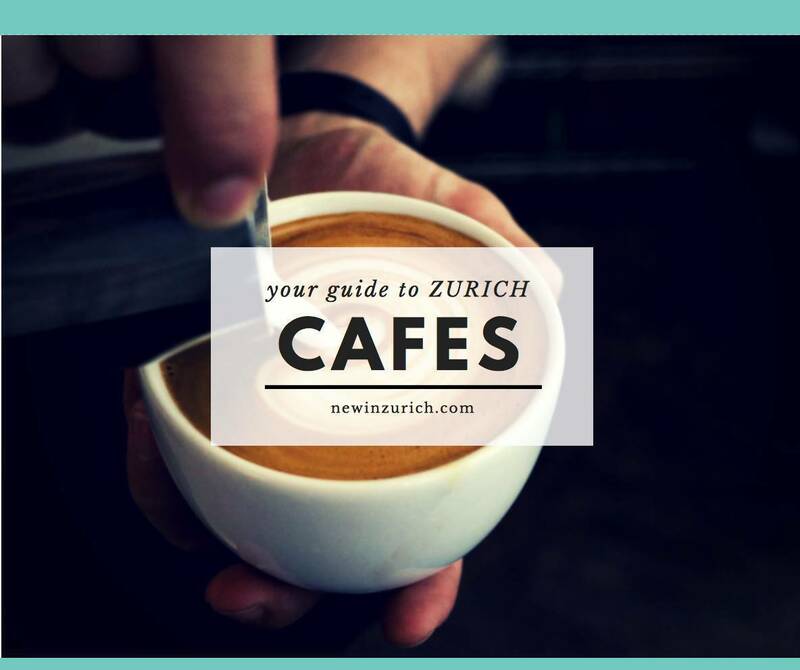 Share the post "Best Brunches in Zurich"